from The Only Planet of Choice website. We gratefully accept any donations to help support the dissemination of our research, including the cost of maintaining this site. 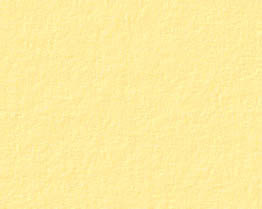 Click here to translate any page of this website - courtesy of Babelfish. This section of CropCircleAnswers.com contains Crop Circle and related news (with some exceptions), and links to further information, including news of Millennium Research article releases, radio and TV appearances, talk presentations, and other ‘Breaking News’ in areas of interest. 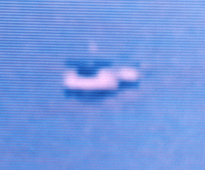 On September 10th 2006 I witnessed and videotaped a small ‘UFO Fleet’ (UFOF) emerge from a large ‘UFO Fleet Container’ (UFOFC): a type of UFO I first remotely sensed, observed, and on that occasion Kris videotaped, on October 18, 1999, flying towards and over our apartment (at the time) and neighborhood of NW Santa Monica. Since this encounter, which to my knowledge is the first known videotaped sighting of a UFO Fleet Container above a city outside of Mexico, I have remotely sensed (i.e. : psychically and physically), observed and videotaped a UFOFC multiple times. 1) The emergence of a UFO Fleet from a UFO Fleet ‘Container’, further identifying both types of UFO configuration. 2) The appearance of a UFO Fleet after specifically requesting a UFO Fleet above a specific area of NW Santa Monica at a specific time. 3) A UFO Fleet Container and UFO Fleet after requesting a visible sign of benevolent ETI participation in a ‘group’ synchronized Earth Healing and World Peace visualization meditation. 4) A ‘Close Encounter of the Fifth Kind’ or ‘CE5’. 5) A CE5 ‘response’ to a CE5 ‘initiative’. 6) ‘A Close Encounter of the Second Kind’ or ‘CE2’. 1) A single large long UFO Fleet Container, identical to others Kris and I observed and videotaped above NW Santa Monica in 1999 and 2006. This seemingly singular UFO I have videotaped multiple times in various degrees of formation, illumination, movement and orientation. 2) Multiple, smaller, ‘craft sized’, self-similar and self-luminous, ‘spherical’ shaped UFO’s, some brilliantly some faintly illuminated; some descending after leaving the UFOFC and some remaining stationary near, and/or very close by, and flying ‘in formation’ with the UFOFC. UFOFC videotaped above Los Angeles on September 23rd 2015. The following CCA page has been updated with some additional information. September 23rd 2015 UFOFC sighting. Scroll down for past years NEWS. For many years I considered drawing, illustrating and painting a form of ‘training’ for the countless hours I would one day spend sitting attempting to write. 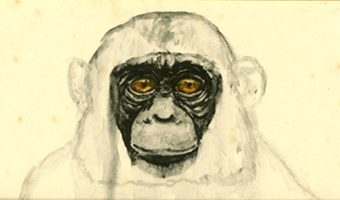 The following images, with more to add, are a minute sample of the hundreds of drawings and illustrations I did more than ten, twenty and thirty years ago. A significant new eyewitness account of the 2007 mass sighting of the rarely witnessed Marine Lightwheel phenomenon has come to light, from a Watch Commander aboard the same Navy Ship deployed in the Strait of Hormuz, that was the subject of the original article . The stunning event was also witnessed by numerous other crewmembers, as was previously documented. As 2012 draws near to a close more and more people are talking about the ‘Mayan prophesy’, and the coming to an end of a great Mayan calendar ‘Earth cycle’ of 144,000 days or 394 years, on midnight, December 21st 2012. Some believe the end of planet Earth is nigh, while most people are simply wondering is there really anything to be concerned about. Humanity survived the passing of 1999 and Y2K, and far more significant events less known in recent decades. Is all the hype and fear about the end of 2012 any different? On March 26, 2011 we received a new report of another extraordinary Marine Lightwheel sighting! The skipper of a fishing boat in the Gulf of Oman contacted us to report that on the night of March 25, 2011 he and his 7 man crew had been astonished to witness an approximately “one kilometer in radius, flashing circular display, 3 kilometers off the Bandar Rwada Marina, in Muscat waters of Sultanate of Oman”. Just as the crewmembers aboard the Navy Ships had done in 2007 and 2009, he had searched the internet and found Kris’ articles on the phenomenon and had emailed us with his report. Historically Lightwheel sightings have most often occurred between the months of March and May, in certain waters, conditions, and at particular latitudes. I view this phenomenon as extraordinarily compelling evidence of a geometrically organized, geomagnetic energy system that could well be associated with one of the primary forces behind non-manmade Crop Circle creation. - K.S. Nexus Magazine's German language version has now published Kris's most recent article, on the mass sighting of the Marine Lightwheel phenomenon by 50 aboard a Navy Ship in April 2009, in their June/July issue. The article is referenced on the cover with the title "Lichtrader auf dem Meer", and in the fanciful cover illustration. Nexus Magazine, published in Australia and available worldwide, has published Kris’ latest Marine Lightwheel article in their current issue. Including eyewitness accounts by three Ships’ officers, it documents an extraordinary sighting by 50 crewmembers aboard a Navy Ship in the Arabian Gulf on April 12, 2009. Read Kris’ original article HERE. We are shocked and saddened to learn of the passing of scientist and colleague, John Burke, who was a pioneering researcher into the physics and effects of the non-manmade Crop Circle phenomenon, in addition to his other areas of expertise and scientific research. Our sincere condolences to his family. The research community has lost one of its brilliant and innovative minds, and much too soon. 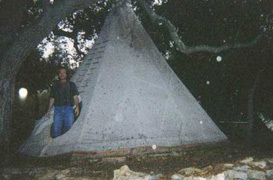 “To date, John Burke is one of the very few of the many Earth Mysteries, Parapsychological, UFO and Crop Circle researchers that I [Ed Sherwood] have assisted with my ability to readily sense and see luminous subtle energy (among other things, including the clairvoyant sensing of ball plasmas and ET vehicles and devices) to have publicly acknowledged my contributions to their investigations. Thank you very much John Burke.” Your integrity and groundbreaking research work will be long remembered! 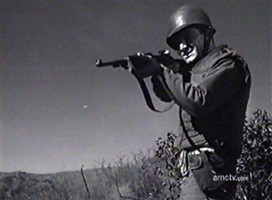 During the last ‘Memorial Day’ weekend (June 23rd-25th 2009) a 1961 black and white US Korean war film was aired again on the American Movie Classic (AMC) Cable Channel that includes in its last main action sequence an impressive UFO. Kris documents another stunning mass sighting of this rare marine phenomenon, related to, in the Sherwood’s view, the non-manmade Crop Circle phenomenon, after 50 members of a US Navy Ship in the Arabian Gulf witness an incredible bioluminescent Lightwheel event on April 11, 2009. 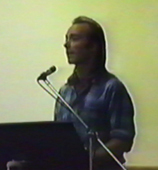 Speaking at The South Wales UFO Group Conference in Cardiff on August 27th 1995 Ed Sherwood talks about some of his early UFO and Extraterrestrial ‘contact’ experiences, and a lot more, in this new YouTube video series. Divided into 8 ‘Parts’ it was Ed Sherwood’s first talk at a UFO Conference. “This week we present investigators and experiencers, Ed and Kris Sherwood, who will bring you up to date on the mysterious Crop Circles. Are they pranks, messages from a universal consciousness, or manifestations of ET? Or all of the above?” Audio of the interview is linked on the above The Paracast page. 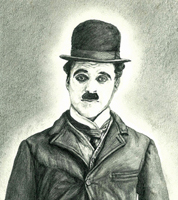 This ‘CCA NEWS 2009 Update #1’ was made possible by a very kind donation from our dear friend J.S. Eternal thanks Jess!! Thirty minutes after completing a benevolent Extraterrestrial Intelligence invited Earth Healing and World Peace meditation, and mentally requesting a certain type of UFO to appear, Ed Sherwood videotaped it flying above North West Santa Monica. 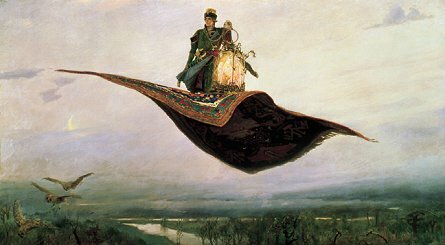 ‘The Flying Carpet’ by Victor Vasnetsov (1880) Prince Ivan returning to the Tzar with the captured Firebird. An update to an article originally published in UFO Magazine/UK in 2003, with extraordinary evidence and images, some only previously shared by the Sherwood’s in talk presentations and interviews. Kris reports on the most recent sighting of this rare bioluminescent phenomenon which she has postulated is related to the same geophysical forces involved in non-manmade Crop Circle creation. Ed and Kris guest on Cariel's Heartlink Institute’s Heartlink Radio program. The book documents an extensive scientific investigation of the measurable electromagnetic energies that ebb and flow at specific locations on the earth where ancient man typically sited his sacred monuments. The book is an excellent read and great contribution to understanding the natural science and practices of the ancients, and we recommend it to anyone interested in furthering their knowledge of such subjects. 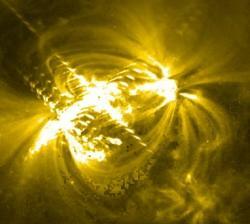 Mysterious, newly discovered Solar ‘Alfven Wave’ ripples, are hotter than the Sun’s surface and reportedly transport Solar energy at 9 million miles per hour, outward through the Corona, and along the Sun’s magnetic field lines into Deep Space. This discovery supports research that the Sun’s activity highly affects and is also highly interactive with our planet’s magnetic fields, and electromagnetic forces. 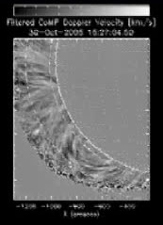 This new research strikingly confirms and furthers the growing understanding of Helioseismology, a topic that was explored by Kris in her groundbreaking article, Deus ex Sol - Solar Logos and Helioseismology Depicted in Crop Circle Formations, first published in UFO Magazine UK in 2001. 'Sound' in relation to Crop Circle creation was first documented by Ed in his 1998 article, The Word Is Nine. Much of Kris' article’s content, and other of our combined research was intriguingly ‘confirmed’ to us personally in 2002 by the late writer, and noted UFOlogist, Victor J. Kean, through his Bible Code research. phenomenon which she has postulated is related to the same geophysical forces involved in non-manmade Crop Circle creation. During January and February 2007 we documented fourteen UFOs above our neighborhood of Santa Monica. Twelve were observed. Eleven were videotaped, including three twenty-minute sightings and one forty-minute sighting (the longest we have videotaped to date). Two were videotaped while recording two others and were not seen at the time. Four were multiple witness sightings and five were observer ‘interactive’. During three separate sightings, while videotaping a single ‘spherical’ object moving in one direction, another identical UFO suddenly appeared near the first heading in the opposite direction at speed. On January 4th 2007 this happened within two minutes of describing this type of sighting on camera to a neighbor and was subsequently videotaped. We have videotaped multiple close proximity UFOs moving in opposite directions to each other, within the camera frame, nine times since October 22nd 2006. New reports (including images) are currently in progress for posting on the CCA ‘NEWS’ and the ‘Ed & Kris Sherwood’s UFO Sightings’ page in the coming weeks. Between late June and December 2006 I recorded fifty daylight UFO sightings. At least sixty-six UFOs were observed. Thirty-seven sightings were videotaped, including three mysterious aerial objects for thirty minutes each! 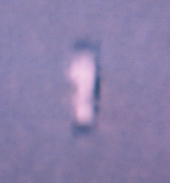 Three UFOs were photographed and videotaped, and eleven were videotaped but not seen at the time. 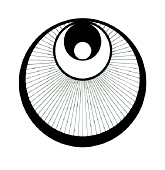 There were sixteen multiple witness sightings and thirty-three observer ‘interactive’ incidents, occurring between five to thirty minutes of either: 1) mentally inviting benevolent ET participation in a synchronized global Earth Healing and World Peace meditation, and/or 2) mentally requesting a ‘sign’ of their presence and support of our research. For more information, images and MPEGs view the '2006 News' page listings below. Ed & Kris on ‘Coast to Coast’ AM with Art Bell. Between late June and December 2006 Ed and Kris Sherwood witnessed more than forty daylight UFO sightings above their neighborhood of Santa Monica. More than sixty UFOs were observed and forty videotaped, including three thirty-minute sightings. Many occurred within minutes of completing a benevolent ET ‘invited’ synchronized Earth Healing and World Peace meditation held globally on Sunday mornings at 11am (PST). Hear the latest UFO and UFH (Unidentified Flying Humanoid) sighting news from Santa Monica and discover a connection to similar sightings in Mexico, and related occurrences in England. Why so much UFO activity above Santa Monica recently? Hear what the Sherwood’s have been doing that could answer this and many related questions, and explore UFOs, Crop Circles & the ‘Collective Mind’. The three-hour interview will be available in the Past Show Archives. Both UFOs flew against the wind in the same ‘upright’ position across the same area of sky and looked identical. They also appeared within minutes of the Sunday 11am (PST) synchronized Earth Healing and World Peace Meditation we regularly participate in. and the ‘Ed & Kris Sherwood’s UFO Sightings’ Home page to accommodate our plans to expand its content. of the ‘Flying Cross’ videotaped by Steve Burns in Florida exactly nine days before Hurricane Katrina was declared a tropical storm and struck Florida. 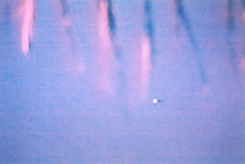 Between late June and mid-October 2006 Ed and Kris Sherwood documented as many as forty daylight UFO sightings above their neighborhood of Santa Monica. More than fifty UFOs were observed and thirty videotaped, including three mysterious aerial objects for thirty minutes each! This talk and DVD presentation includes some of the most impressive UFO evidence they have amassed to date from the skies above Santa Monica. Ed & Kris were guests on 'Coast to Coast'' AM with George Noory. Topics discussed in the second half of the first hour of the program included: Recent daylight UFO sightings videotaped above Santa Monica, worldwide UFO trends, and Crop Circles. The thirty-minute interview is available in the Past Show Archives. CLICK HERE for a page linking to our previous Coast to Coast interviews and click either of our names to access the list. All interviews are three hours long. Due to the three month crash of our previous web server (‘Hostpros’) we have discovered a number of glitches (ie: broken and moved images, and text alterations) affecting various pages of our site. Please bear with us as we try to fix these. On a different and positive note, the daylight UFO sightings above Santa Monica have continued, many in apparent response to the benevolent ET invited Earth Healing and World Peace Meditations we regularly hold, especially the Sunday 11 AM (PST) synchronized world meditations. New reports are in progress, for release in early 2007. Since our last update on September 1st there have been at least 15 daylight UFO sightings above Santa Monica, ten of which were videotaped. Listed below is more information, including a few pre-report images and two MPEGs (see ‘September 10, 2006’ and 'August 2, 2006’ listings). Additional reports are in progress. To date, there have been more than thirty daylight UFO sightings above North West Santa Monica since June 28th 2006, when I videotaped two UFOs flying in formation above the city. More than fifty UFOs have been observed and twenty-eight videotaped, including three that were photographed and videotaped. Seven were videotaped while trying to record another and were not seen at the time. Ten were multiple witness sightings, and twenty-seven were observer interactive, with more than thirty UFOs appearing in apparent ‘response’ to being psychically invited and/or requested to appear. On September 24 2006 I observed and videotaped two identical looking daylight UFOs above North West Santa Monica within ten and thirty minutes of holding a weekly Sunday benevolent ET invited Earth Healing and World Peace Meditation. 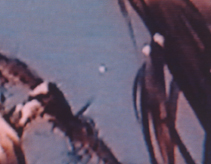 The first UFO (left thumbnail), videotaped for about five minutes, appeared at about 11:30am to the North East of North West Santa Monica and was heading approximately South East to North West. 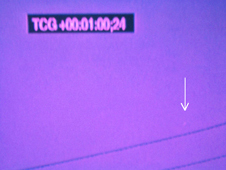 Roughly 40 degrees above the horizon and several city block widths away the UFO flew slowly and steadily (from my right to left) in the same direction and manner as the UFO and possible UFH (Unidentified Flying Humanoid) videotaped on August 2nd (see ‘August 2, 2006’ listing below). Although several city blocks further away and not as clear as the August 2nd sighting, moving through a hazy sky, it looked very similar. 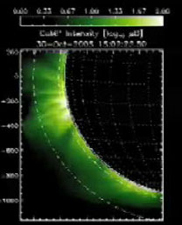 It also closely resembled the UFO ‘Stack’ configuration videotaped on September 10th (compare top right image to the UFO stack image below and imagine the spheres illuminated and seemingly ‘contained’ within a pearly white ‘ion plasma envelope’). The first sighting occurred about ten minutes after Kris and I completed a benevolent ET invited Earth Healing and World Peace Meditation that included a request for a sign of their presence and participation. I also asked for the UFO and UFH to return and it looks like it or something like it did! 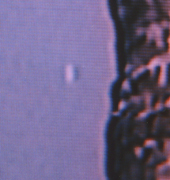 The first and second UFO (right thumbnail), the latter videotaped at approximately 12:05am, appeared to be white, self-luminous and possibly two or more objects positioned one on top of the other. As with the August 2nd sighting both UFOs frequently stopped in flight and reversed a little before flying on against the prevailing wind. Both appeared to fly in a very controlled manner. Between pausing in flight both UFOs moved horizontally and steadily across the sky for varying distances, occasionally accelerating. When I eventually lost sight of the first UFO, I felt a little disappointed that it had not come closer, so I mentally asked it to return, and to come closer, and thirty minutes later it did both!! The second sighting was videotaped for approximately thirty minutes and observed by Kris and a neighbor. 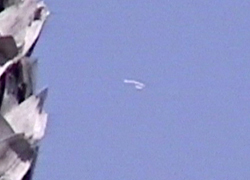 Click here to view a 52 second MPEG (9.2 MB) of the UFO in flight. On September 10th 2006 at approximately 11:50am I (Ed) observed and videotaped a different type of UFO configuration above North West Santa Monica. 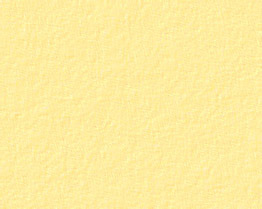 Flying steadily North to South about fifty degrees above the horizon and heading out to sea against a light prevailing onshore breeze it looked like a large self-luminous bright white ‘sphere’ above three or four smaller and less illuminated spheres stacked one on top of the other. Interestingly, as the UFO ‘stack’ moved against the wind the lower spheres did not swing, sway or bob in the breeze (as balloons would) but remained in a ‘rigid’ position. Flying at a steady pace I estimated they were about a quarter of a mile away and perhaps 1000-1500 feet in the air, with the smallest sphere being at least several feet in diameter. They reminded me of a UFO formation that has been videotaped above Mexico over the years involving ‘self-similar’ looking aerial objects vertically stacked in the sky. and a sign of their participation requested (including a specific request for a UFO ‘fleet’ sighting like some videotaped above Mexico in recent years). The second UFO sighting occurred about ten minutes after the first, at approximately 12am, and was videotaped for thirty-one minutes. It was to the North initially, moving very slowly against the wind, heading South East-East to North West-West above North West Santa Monica. The UFO looked like a giant segmented white ‘worm’, with curved edges and spherical ends. It also looked as if it ‘contained’ large spheres that were ‘covered’ and ‘joined’ by something (I suspect a magnetic ion plasma ‘sheath’ rather than a material substance due to how the sighting later unfolded). I estimated it to be about forty degrees above the horizon, a thousand feet in the air (possibly less) and perhaps half a mile away. It was a large object that must have been at least a hundred feet long. Several light aircraft passed above and below it (one I videotaped) and were a lot smaller in comparison. Completely silent the UFO flew from my right to left slowly passing behind four widely spaced palm trees nearby in the direct line of sight, until it was almost lost from view to neighboring trees and buildings. At this point, I thought I was about to lose the UFO permanently when it surprised me by stopping and remaining completely stationary for approximately two minutes, after which it began to slowly return along its original course. Half way on the UFOs return flight Kris (my research partner and wife) joined me outside and we both observed it. Then, after videotaping the object for approximately 20 minutes its appearance began to change from a long curving ‘tube’ with a bright sphere at each end, to one large ‘sphere’, below which began to ‘materialize’ smaller white spheres. 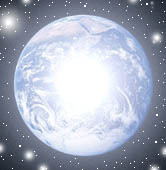 First one illuminated, far below the main sphere, then another closer to it, and another next to the second one, and another below that, until there were at least six large self-luminous spheres flying in formation below the primary sphere. They seemed to just ‘pop on’ and ‘light up’ like a twinkling star, and fly together rather than descend, maintaining their formation in a manner characteristic of a UFO fleet. I videotaped at least six large self-luminous spheres below the primary sphere, and one that I didn’t see at the time fly past at great speed. 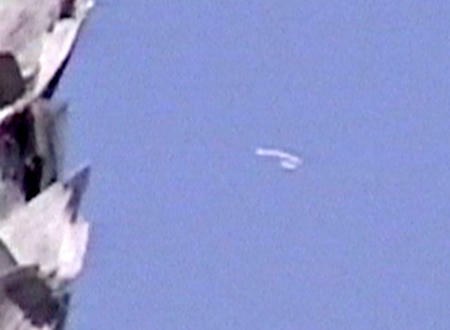 Click here to view a 59 second MPEG (10.5MB) of the UFO in flight. Click here to view a 45 second MPEG (6.5MB) of the UFO container in flight. On September 9th I conducted a UFO sky watch from our apartment in Santa Monica. The time was exactly 5:30pm. I know this because, I placed a watch on a wall next to me to glance at if a sighting occurred and as I looked at it I saw the second hand stop at exactly 5:30pm. Suspecting a psychokinetic ‘hand’ I turned my attention to the sky and immediately requested a sign of benevolent ET presence and support of our research. A couple of minutes later a UFO appeared to the North West heading East (left thumbnail). Moving very slowly in a clear blue sky it flew in the direction of the prevailing wind, from my left to right, stopping many times along the way. 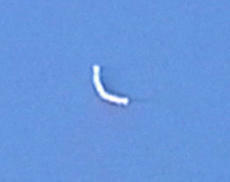 It looked like a large segmented white ‘worm’ that slowly articulated in flight. I estimated it to be about forty degrees above the horizon, perhaps 1-2000 feet in the air, and between a quarter to half a mile away. I videotaped the UFO for about thirty minutes as it slowly and silently passed behind four palm trees swaying in a strong off shore breeze nearby. Like something under intelligent control its flight was horizontal and very steady despite the wind. I observed it for about thirty-five minutes until losing sight of it heading into haze above the city. Moments later the watch on the wall started by itself, and is still working, which is something it has not done before. Immediately after noticing the watch functioning I spotted a second UFO and resumed videotaping (right thumbnail). It appeared to the East where the first UFO had disappeared and was heading North West against the prevailing wind. Perhaps a few feet across, 1-2000 feet up and a quarter of a mile away, it looked like a small self-luminous bright white sphere. Fast moving, from my right to left, it quickly crossed the sky without sound. I was able to record a couple of minutes of footage before losing sight of it. 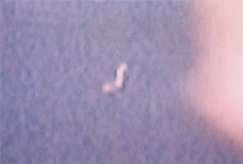 After the two sightings Kris and I reviewed the footage and observed how very similar the first UFO was to the UFO videotaped by Kris in 1999, and the first of two UFOs I observed on June 28th 2006 (for more information see listing and link below). The first UFO was also almost identical to one I would videotape releasing bright spheres above Santa Monica the following day. Our love and prayers and deepest sympathy go out to his family. The UFO 'wave' above Santa Monica continues, and with sightings closely resembling some of the UFO and UFH (Unidentified Flying Humanoid) activity videotaped above Mexico in 2005. Click to view MPEG (7 MB) of the UFO and UFH in flight. On August 27th Kris and I held a twenty minute Earth Healing and World Peace Meditation inside our apartment, at the beginning of which we mentally invited any benevolent ET Civilization to participate in if they could and would like to. We also requested a sign of their presence and participation in the meditation, as well as permission to videotape anything that might appear, and stated that we would hold two sky watches, one immediately after the meditation and another six hours later the same day. Interestingly, thirty minutes into both sky watches an identical looking UFO appeared in the same position in the sky above our neighborhood. 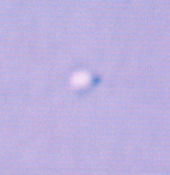 Resembling a ‘pearl’, an opaque white sphere, the first object maintained an altitude of perhaps 1-2000 feet and moved around in small circles for several minutes (giving me time to find it in the camera viewfinder and begin recording) before slowly and steadily moving away in a North Westerly direction against the wind (left thumbnail). 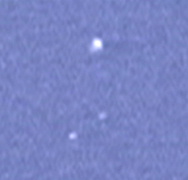 The second sphere appeared at the same location as the first and flew in the same direction, this time without pause, until I lost sight of it heading North West at a similar altitude (right thumbnail). 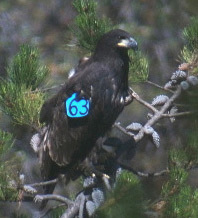 Both sightings lasted for several minutes and were videotaped. 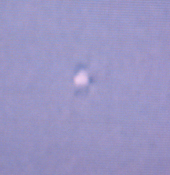 During a short sky watch with Kris I observed and videotaped a ‘pearly’ white sphere above North West Santa Monica. It was about sixty degrees above the horizon and appeared to be a few hundred feet away, perhaps one to two thousand feet in the air and at least several feet in diameter. I watched it for a couple of minutes slowly fly on a straight course over the city heading in a South Westerly direction against a prevailing off shore wind. 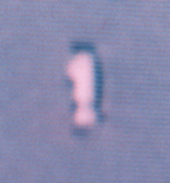 During this time I managed to find the UFO in the camera viewfinder and begin videotaping just as it was about to disappear behind the head of a nearby palm tree. Thinking I was about to lose the object I quickly zoomed towards it only to find the sphere had changed course and was now maneuvering in wide circles at speed behind the palm tree. The UFO’s sudden change of direction and circular movement seemed very controlled and deliberate. As on several other occasions recently the UFO appeared to be highly responsive to being observed and to thoughts. I videotaped just over a minute of the sphere maneuvering behind the palm tree, including its unexpected circular flight, revealed by the wind, moving palm fronds and the UFO flying passed them. Unfortunately, I lost sight of it soon after this as I tried to move the camera to what I hoped would be a better recording position. Alas, it was not, however what was recorded is quite dramatic. To date, there have been at least fourteen daylight UFO sightings above our apartment and neighborhood of Santa Monica since June 28th 2006, when two UFOs were filmed flying in formation above the city. Seventeen UFOs have been observed. Ten have been filmed, including two that were photographed and filmed. Two were filmed while trying to film another and were not seen at the time. Three were multiple witness sightings, and eight were observer interactive, with seven UFOs appearing between five and thirty minutes after being psychically requested to appear. Needless to say the UFO ‘wave’ above NW Santa Monica continues, and with sightings closely resembling some of the UFO and UFH (Unidentified Flying Humanoid) activity filmed above Mexico in recent years, including a ten minute filmed daylight UFH sighting, that was strikingly similar to an unprecedented multiple UFH sighting filmed by the respected Mexican sky watcher Pedro Avila late last year over Mexico City. ‘SIGHTINGS’ reports with images and MPEGs to follow . . .
On July 19th I witnessed another type of UFO, this time moving in a manner characteristic of many extraterrestrial ‘vehicles’ and ‘probes’. While visibly traveling on a straight course the UFO appeared to disappear and reappear in different parts of the sky as it moved from point ‘A’ to point ‘B’. Fortunately, I was able to photograph the object and videotaped it in operation, including its unconventional mode of flight. The following report is an account of the sighting including the photographic evidence I was able to record. 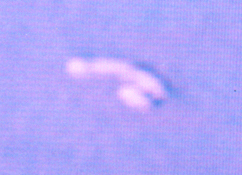 Returning outside with a video camera I managed to record, in one fifteenth of a second (00:01:00;24 - 00:01:00;28) the UFO appearing to disappear and reappear in a different spot in the sky. 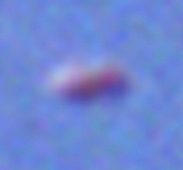 Click here to view a 45 second (6.5MB) MPEG of the UFO in slow motion. 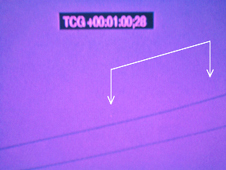 (Note the position of the UFO in relation to the video ‘time code’). On July 14th our website (including our much updated ‘SIGHTINGS’ page) was restored to how it was before the server crashed in late April, replacing a year old version of our site that had been posted temporarily. above Santa Monica in more than ten years! Witnessing a very impressive UFO sighting and retrieving our website all in the same day made July 14th 2006 a very memorable one. During the last two and a half months I have witnessed six daylight UFO sightings above Santa Monica, including one I managed to film. This is nearly as many as I have seen over the city since I moved here ten years ago. Could Santa Monica be experiencing a UFO ‘wave’? On June 28th 2006 I experienced two different UFO sightings within twenty minutes of each other from the same street corner, and area of sky (North to North West of Santa Monica), where the unidentified flying ‘Boomerang’ and ‘Flying Humanoid’ (UFH) were filmed. 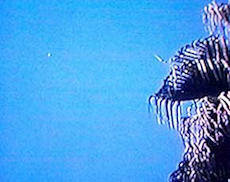 Among other topics the program also includes footage and information about 'Unidentified Flying Humanoids' (UFHs), witnessed and filmed over Mexico in 2000 and 2004. Ed was also interviewed and a tiny portion was included in the program. to articles and reports documenting the many UFO ‘Fleet’, and ‘Unidentified Flying Humanoid’ sightings witnessed and filmed in the skies over Mexico, and elsewhere, since 2000. Additional articles and reports are being prepared. Watch for future updates. This January 2006 ‘CCA Update’ was made possible by a very kind donation from our dear friend R.J. Eternal thanks Ron!! Witnessed on both sides of the Gulf Coast! Ed and Kris guest on The George Noory Show on November 2, 2005. The three hour interview is available in the Past Show Archives (Coast to Coast membership required. China Newsweek magazine interviewed the Sherwood’s for an article published in China recently about the Crop Circle phenomenon. Online and hardcopy magazine available in Chinese only.